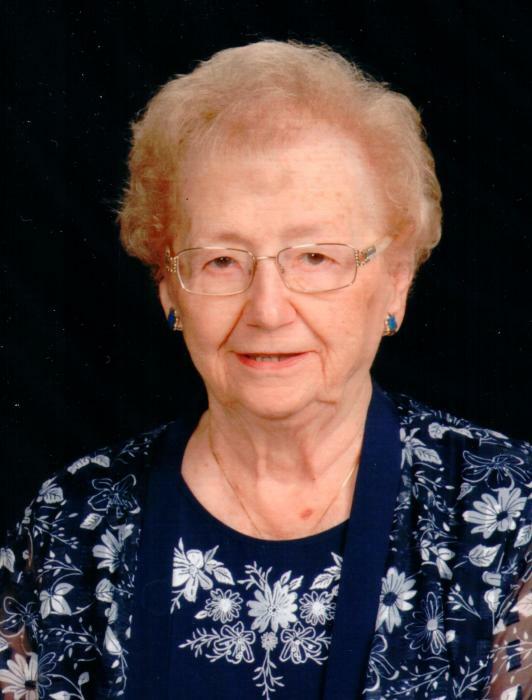 Clara Hoffman, 96, of Fostoria, and formerly of Arcadia and North Fort Myers, FL, died Saturday, November 24, 2018 at the Independence House, Fostoria. She was born November 2, 1922 in McComb, Ohio to Dale & Margaret (Adams) Mitchell. She married Charles E. Hoffman Feb. 18, 1950 in McComb. Surviving are son John (Susan) Hoffman of Alvada, daughter Ann Barth of Fostoria, grandchildren Kimberly (Nick) Gerding of Glandorf, Kathyrn (Garrett) Day of Fostoria, 12 great-grandchildren, 4 great-great-grandchildren. Clara is preceded in death by parents, husband & sisters Lucille & Beatrice Mitchell, Edith Eisaman, Mary Susan Kissabeth and son-in-law Albert Barth. Clara retired in 1984 as a teacher for Arcadia & McComb schools after 30 years. She was a member of the Arcadia U.M. Church, was a McComb High School graduate and attended B.G.S.U. She was also a member of the Bar DD square dance club & Ohio Retired Teachers Association. Clara loved bingo, and bowled until age 91. Funeral services will be held Thursday, November 29, 2018 at 11:00 a.m. at the Harrold-Floriana Funeral Home, Fostoria, Ohio with Reverend Erma Metzger officiating. Visitation will be held 1 hour prior to the service at the funeral home. Burial will be at Arcadia Cemetery, Arcadia, Ohio. Memorials can be made to the Arcadia United Methodist Church.